The way our brain works is through connecting ideas, concepts. Everything we storage in our minds is connected, categorized, related to some other knowledge. That's why is really important not to present the vocabulary to our students standing alone, disconnected or out of context. 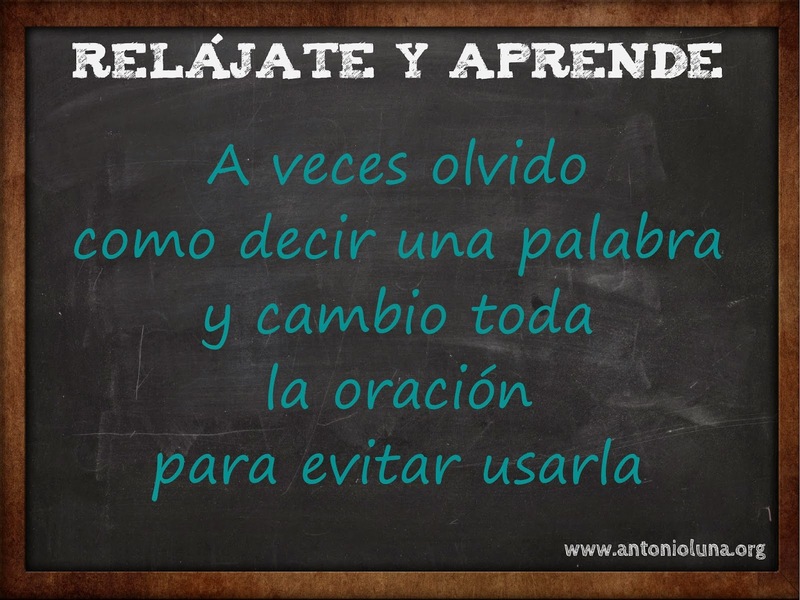 The natural way we learn is by the context, so we want to apply that to our language classes. The factors implied in the acquisition of vocabulary in a language are multiple, so, again, the more we bring to the table in the same activity the better for our students to learn that key vocabulary. In this case, this image helps understand the vocabulary through visuals, antonymy and context. This image is a piece of a unit about Daily routines, which includes reflective verbs. Through different colors and pictures illustrating the actions we try to make the acquisition of this difficult concept easier for our students. The last thing I have incorporated into the visual is the concept of opposites, which is one more connection reinforcing the learning of the concepts. 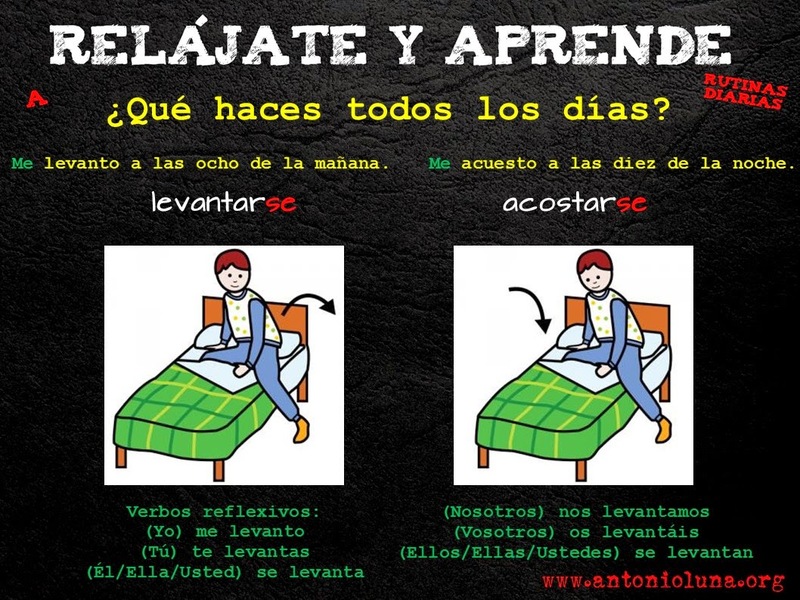 Check out more resources for Daily Routines in Spanish that I've compiled in this folder in my Google Drive. We've seen some rules to determine the gender of a noun in Spanish. But language is usually like life, a lot of rules don't apply sometimes. This might be the case of it. 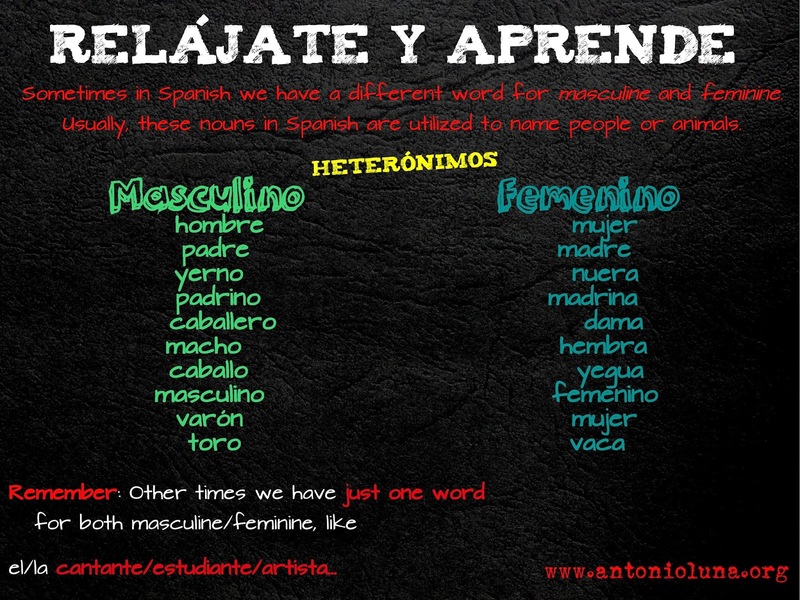 Heterónimos in Spanish have a different word to talk about ladies & gentlemen. hetero- which is a prefix we borrowed from the Greek language and means "distinct, different, other"
ónimo- a greek suffix that meant "name"
After the analysis we put the pieces together and we see that the buzzword means "a different name" which clarifies a bit our purpose. We are plenty of examples in our languages from this structure but two will be enough to illustrate the idea: sinónimo / antónimo. Along with this brief lines about today's topic there is a visual resource ready to use in class. I do believe it is good to share all the sides of the coin with your students. Our certainties but also our doubts our mistakes our struggles. I heard once that the most important quality of a teacher is "to be". In this serial I want to talk about reflections I bring up to my class. Sometimes they seem too deep, others too realistic and the impact this activities have in my students are varied too but I really think it is worth it to take some minutes from my class to help them think about the language itself, some other folks call that "metacognition" as well. The power of this idea is the connection we try to make between the student and the language and the change of our public image as teachers. The point is the honesty, the transparency, the unexpected. None of my students expected to be reflecting in a foreign language class this is the change of paradigm we need in our classes. We have to give our classes the value they deserve. We are working with culture, which is the core of our beliefs.